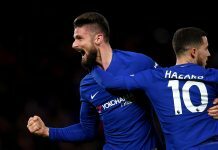 A 1-0 away defeat in the first leg against Steaua Bucharest left us in a precarious position heading into the second leg at Stamford Bridge on Thursday. Maybe it was lack of believe by some fans in our ability to turn the score around, that resulted in one of our lowest home attendances for years. It was more probably the added cost of extra matches, in what is turning into an expensive season for fans, coupled with the frustration at the current regime. Either way, only 28,817 were in attendance. 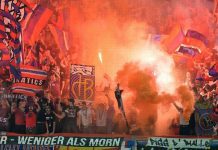 Steaua were unchanged from the first leg. Terry returned to the Chelsea back line alongside Luiz. Ramires and Mikel anchored the midfield, with the 3 amigos in front of them behind Torres. It was a great display from Mata, Oscar, and in particular Hazard. When you see the line up and all three are featured from the start, the pulse quickens, and confidence in getting a result rises. The hope was for a continuation of the performance in the FA cup against Manchester United, minus the inability to defend set pieces and lack of concentration early doors. In this sense it was a positive start, while possession was exchanged from one side to the other, we managed not to concede in the opening ten minutes. Cech was called into action in the 11th minute though, Tipping away Rusescu’s shot to his left after Mikel was caught on the ball. A stark reminder that if Steaua could score, we would require three to progress. After this wake up call, Chelsea took the upper hand. Aside from a few wasteful long punts down field from Cech and Luiz aimed in the general direction of Torres, Chelsea had more possession than Steaua, and the ball was certainly being used in more of a positive manor akin to Sunday’s performance. Play was directed out from the back to Ramires or Mikel, with Steaua unable to mark both players so deep in the Chelsea half. From here either the full backs were brought in to play, or Mata, Hazard or Oscar would drop deeper to receive the ball, and the inter linking of these three began to create chances. The first of which came via an Azpilicueta header finding Oscar untracked down the right flank, his cut back found the significantly advanced Mikel, whose shot was blocked, as was Mata’s follow up. Steaua did have periods of possession, with which they looked threatening, but as the half went on Ramires and Mikel were winning all the battles in midfield, and Steaua struggled more and more to get hold of the ball. It was Mikel with another shot soon after, as he fired in a 20 yarder tipped round the post by Tatarusanu, after Mata’s original free kick came back of the wall to Mikel. Hazard was becoming very influential by now, on a night where he looked almost unplayable at times. He was beating two or three players at a time with runs down the left, and drifting in filed to combine brilliantly with Mata. One such combination, after Hazard had jinked between two players on the left touchline, before playing a one-two with Mata on the edge of the area saw his right-footed curler palmed away to the left by the keeper. It is an absolute pleasure to watch the link up between these two, and the back heel flicks and vision of Oscar. Another such occasion in the first half produced one of these moments. Azpilicueta played the ball infield to Oscar, who, with Hazard making a run in behind him, back flicked the ball in one motion around a defender into Hazards feet. The move that put us ahead in the match was another well worked one. Another challenge in midfield was won, and Mata advanced forward with the ball, his exchange of passes with Ramires left him with just the keeper to beat, and he found the net, calmly slotting the ball between the keepers legs. It had taken 33 minutes to level the tie on the night, but there was every confidence we could win it now. That confidence took a hit when on the stroke of half time Steaua levelled the scores. The return of more sloppy set piece defending. The corner was played low into the near post, a collection of bodies scrambled, Cech saving an initial shot, but the rebound was smashed into the roof of the net from inside the six-yard box. This away goal for Steaua meant we needed two second half goals without reply. There was a refreshing sense of confidence from Chelsea that the way were playing would yield the desired outcome, and it was nice to not have a change to long ball tactics, although if we had not scored when we did, this may have happened anyway. It was John Terry who got our second of the night, with a set piece of our own. Hazard was tripped up on the left flank, and Mata delivered the free kick, which Terry met at the near post to power home. There were still 32 minutes remaining for us to get another to send us through. Another Bucharest goal would mean we needed four on the night though, and Cech produced a smart save to deny Chipciu only minutes later. We continued to build play smartly, controlling most of the possession. At times it was of the side-to-side nature we have witnessed when struggling to break through, but there was an air of control from Mikel and Ramires on the ball, not wasting possession by forcing chances. These two were brilliant all night, doing all that was asked of them. Hazard was the shining light though, terrorising Rapa down the left. He was key in our vital third goal as well. Azpilicueta found Mata on the edge of the box, who played the ball into Hazard, who back flicked it on to Torres, who’s touch found him space, and he fired left footed in to the far bottom corner. 19 minutes remained, surely this would seal it? Steaua changed shape, bringing on Leandro for Tanase and pushing Pintilii further forward in a 4-3-3. This put them on the front foot, and again Mikel and Ramires coped brilliantly with the further advanced midfielders. It felt like we needed a fourth to make sure, and we got the chance when Hazard was brought down in the area with five minutes remaining. A confidant Fernando Torres took hold of the ball, and smashed is shot of the top of the crossbar and over. Would we pay for this missed chance? Steaua were now more threatening, Pintilii urging them forward, but our defence held firm, and we progressed to the quarterfinals. Our best performance of the competition so far, but we will need to go up another gear in the quarters, where we face Rubin Kazan. A team who have Champions League experience, and who have beaten Barcelona in the Nou Camp no less. But then we no all about knocking Barca out of Europe don’t we! Chelsea 3-1 Steaua Bucharest, Chelsea win 3-2 on aggregate. Oscar, Mata, (Moses 90), Hazard, (Benayoun 90); Torres. Pintilii, Bourceanu*; Tanase, (Leandro 78), Chipciu, Popa; Rusescu. Previous articleYes to Mikel, No to Frank?